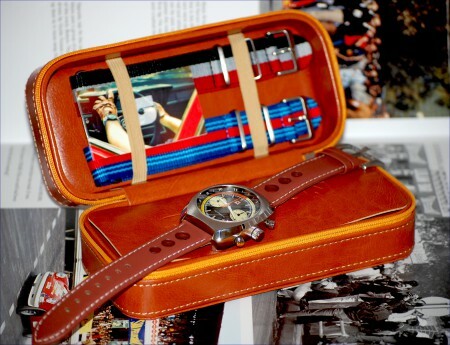 Home ♦ Featured ♦ Watches inspired by Cars: Straton Watch Co. 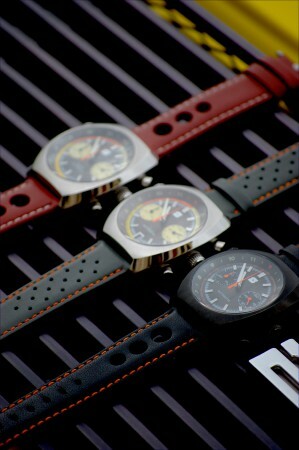 Watches inspired by Cars: Straton Watch Co. I like watches. Especially moderately affordable ones that look like quality pieces and are inspired by cars. I recently came across a start-up that takes one guy’s love of cars and watches, mixes them together, and creates some cool stuff. And, adding to it, it’s a bit of a DIY effort: the guy, Kyle, has built his business through several very successful Kickstarter campaigns. 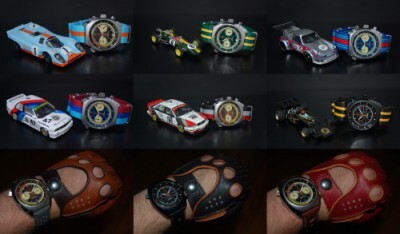 His current campaign for the “Curve-Chrono” going on now can be found here. He offers many build options and two price points depending upon movement. 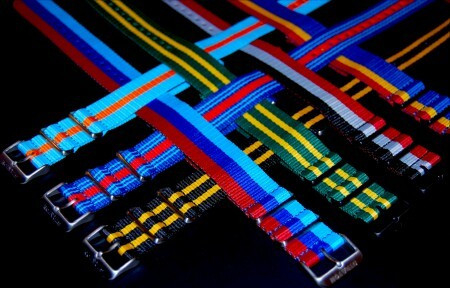 And, it looks like you get two of a variety of retro race team-inspired nylon bands with your purchase. Pretty cool. It’s almost a bit overwhelming to look at what you could get. For example, a blue faced automatic watch with a date window in a narrower 39.5mm casing. 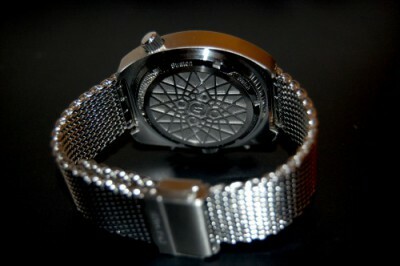 Or, a black anodized 42mm quartz watch with BMW Motorsports inspired nylon band. But, options are good. And, it’s hard to believe you could get something this unique at below $350 (for the quartz movement). Okay, Straton can’t claim they are part of car racing heritage (like Heuer’s or Rolexes). 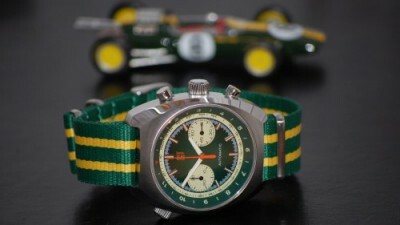 But, then again Rolexes didn’t cost $7,000+ when they became part of that heritage. So, who knows. Straton could be the Rolex of 2030. When you have to consider budgeting for a season of racing or buying a watch I know where my heart and head both reside. I’m not a watch expert, but he is, so I’ll let his site tell you all you want to know. I will just leave you with some photos. UPDATE: Corvette too loud for NCM Corvette track?